361 advertising | Blockout Vinyl is HERE! 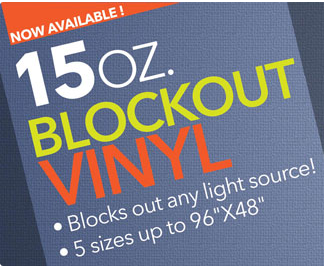 BlockOut Vinyl is here, and we couldn’t be more thrilled to announce its launch! Heavier and more durable than our 10mil Indoor Vinyl product, our premium quality 15oz Blockout Vinyl is intended to block out ANY light source. It’s perfect for banners, signage and so much more.